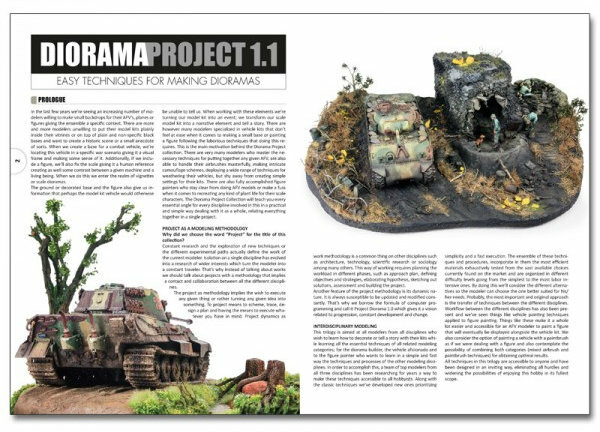 The Modelling News: Preview: Accion Press' latest title "DIORAMA PROJECT 1.1. 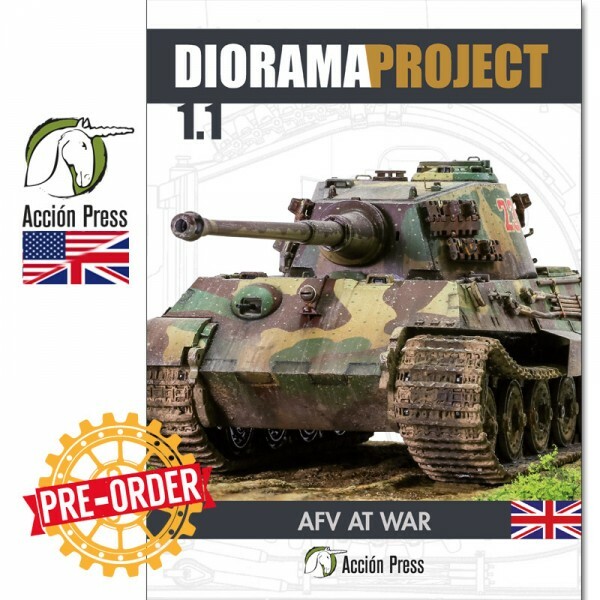 AFV at War"
Preview: Accion Press' latest title "DIORAMA PROJECT 1.1. AFV at War"
Available in English or Spanish Language Versions. 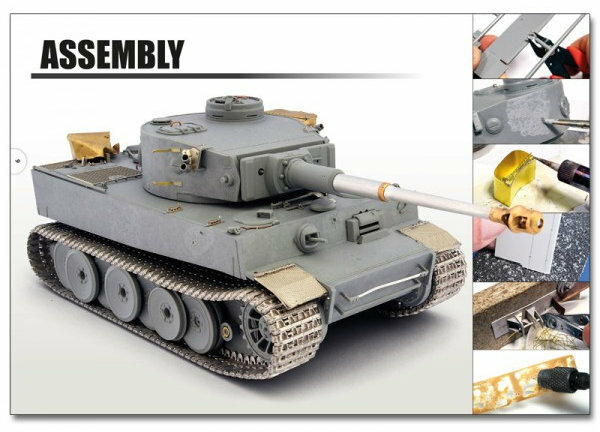 The Diorama Project Collection will teach you every essential angle for every discipline involved in a diorama in a practical and simple way of dealing with it as a whole, relating everything together in a single project. 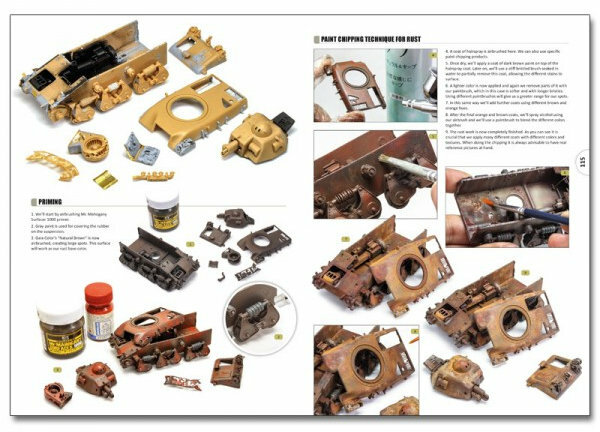 This trilogy is aimed at all modellers from all disciplines who wish to learn how to decorate or tell a story with their kits while learning all the essential techniques of all related modelling categories; for the diorama builder, the vehicle aficionado and to the figure painter who wants to learn in a simple and fast way the techniques and processes of the other modeling disciplines. 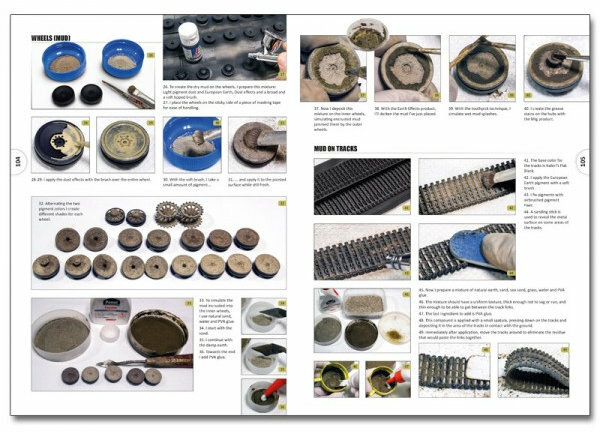 Each volume is organized in different difficulty levels going from the simplest to the most labour-intensive ones. By doing this we’ll consider the different alternatives so the modeller can choose the one better suited for his/her needs. The most important and original approach is the transfer of techniques between the different disciplines. 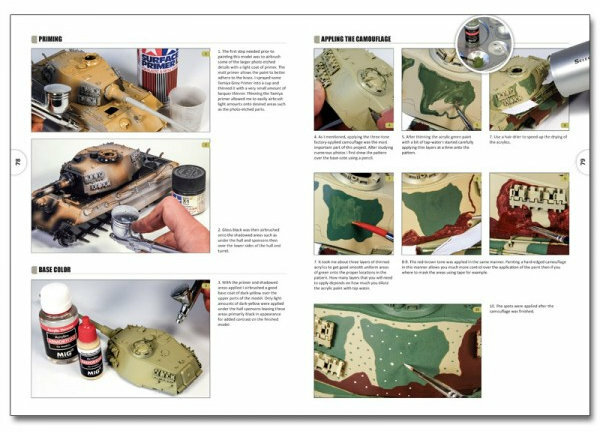 Workflow between the different disciplines has also been present and we’ve seen things like vehicle painting techniques applied to figure painting. 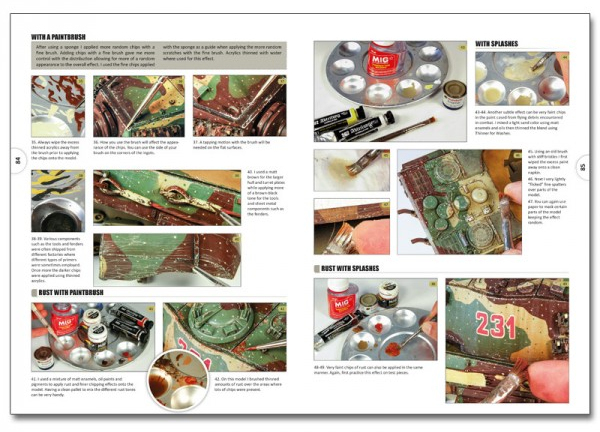 All techniques in this trilogy are accessible to anyone and have been designed in an inviting way, eliminating all hurdles and widening the possibilities of enjoying this hobby in its fullest scope. This encyclopedic work is separated into four parts; one dedicated to AFV’s, and a second part dedicated to figures and two more dedicated to bases and backdrops/backgrounds. 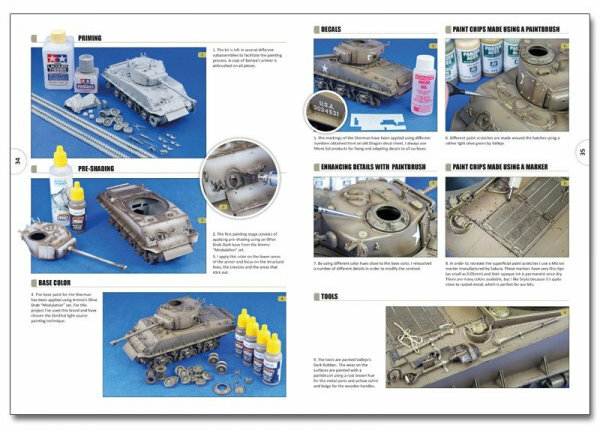 The first part is dedicated to all which is necessary for assembling and painting the most relevant WWII AFV’s in a historical and weather condition context. 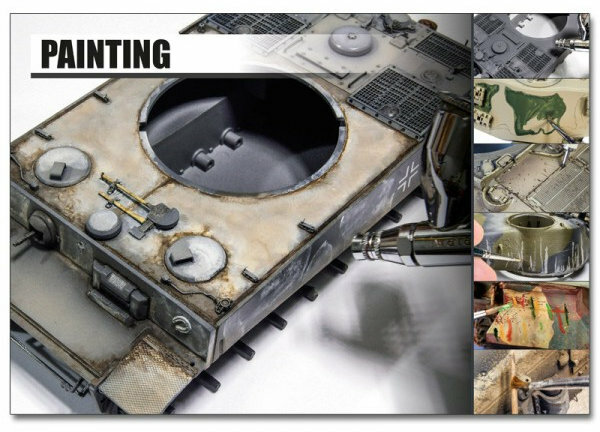 All techniques are subordinated to how the model kit fits into the diorama, stressing the reasons why a given painting technique is better suited for the scene we want to depict. 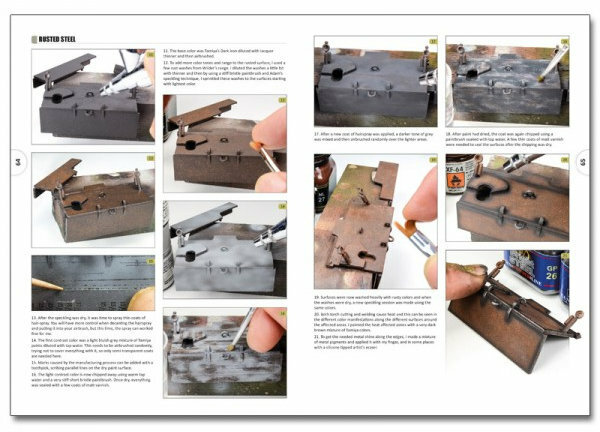 - Fabrizio Pincelli, the accomplished Italian modeller will show us the use of the basic tools and how to handle P.E. 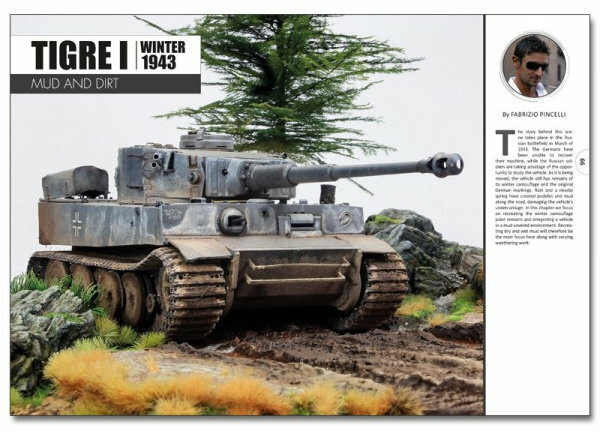 pieces as he builds a Tiger I with a winter camouflage on a mud-covered base. 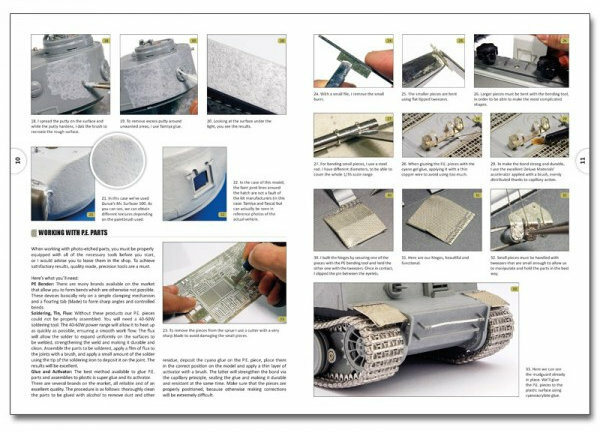 - The versatile French modeller Frederik Astier does some customization work on the mythical Sherman tank using different accessories and making some transformations, framing his work during the advance of the U.S. troops on a German city, adding some touches of dirt along. 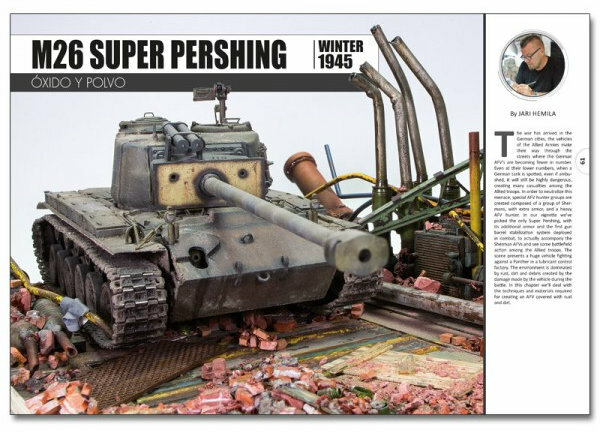 - Rust and rubble comes courtesy of the great Finnish modeller Jari Hemila with his superb rust recreation work on his Super Pershing in a destroyed factory. 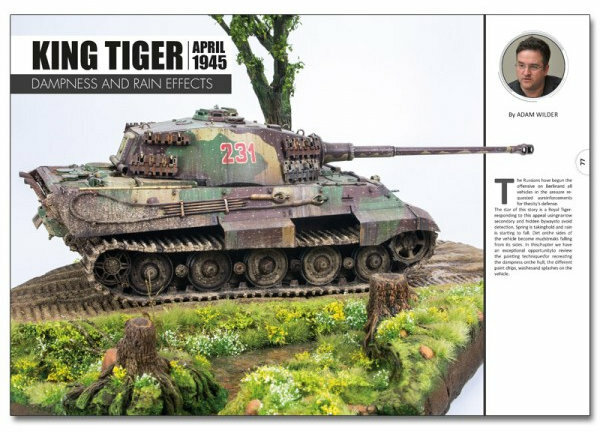 - U.S. Modeller Adam Wilder creates an appealing camouflage and puts it under a heavy rain leaving dirt streaks and wet surfaces on the hull of his Royal Tiger. 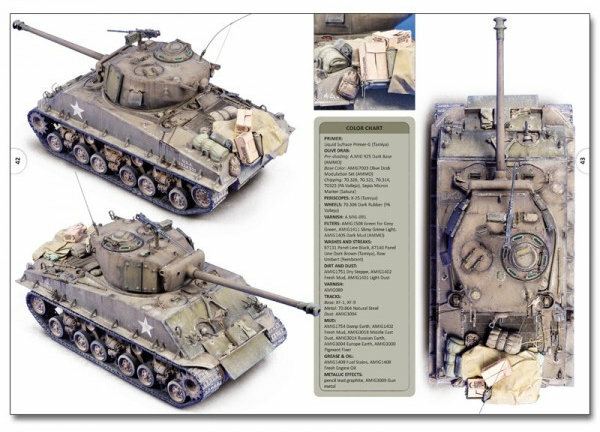 - Spanish modeller Fernando González takes us to the Pacific theatre integrating another Sherman on the volcanic soil of the island of Iwo Jima. 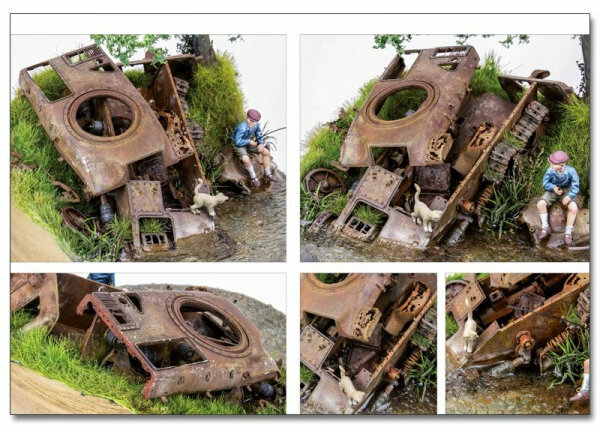 - Japanese author Shimpei Nohara introduces us to the art of utterly destroyed vehicles in a scene full of poetry and contemplation.